Welcome to Harrisburg Baptist Church. We believe that the gospel changes everything, and here, we hope you encounter Jesus Christ during our Sunday morning and Wednesday evening services. Harrisburg Baptist Church has a rich history in this small Boone County community. For more than 100 years, we have sought to "Love God, Help Others and Be Thankful." We look forward to seeing you at an upcoming service. Harrisburg Baptist Church is distributing backpacks and school supplies free of charge from 9 a.m. to noon Saturday, August 4, 2018, at the church, 340 Sexton Street in Harrisburg. Backpacks and school supplies will be offered on a first come, first serve basis to the first 100 Harrisburg R-8 School District students attending the Back to School Fair (entering preK through fifth grade) during the 2018-19 school year. Not all school supplies may be available. The church is looking forward to providing supplies and backpacks to families in the Harrisburg community. It hopes to expand the fair in future years to provide more supplies to more students. There is no financial requirement to receive supplies. Anyone in need of school supplies is welcome to attend. In addition to backpacks and school supplies, there will also be free food and games. Supplies and food will be distributed while supplies last. Students must attend the event with a parent or guardian, and parents and/or guardians must bring their children to the event to receive supplies. The event will begin promptly at 9 a.m. Please follow signage to the registration table. For more information, call the church at 875-0545 or email harrisburgbaptist@gmail.com. 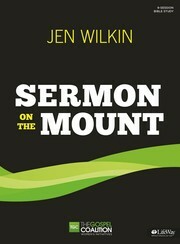 September 2017 - The women's ministry at Harrisburg Baptist Church will begin a new study, "Sermon on the Mount" by Jen Wilkin, this month. The group will meet at 5:30 p.m. Fridays. Snacks will be served, and child care is available. Meeting dates are: Sept. 29, Oct. 13, Oct. 27, Nov. 10, and Dec. 8. August 2016 - Pastor Michael Drews and his wife, Jessica, will be coming to Harrisburg Baptist Church this August. 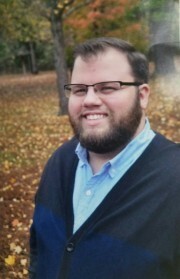 Michael was called by a 100-percent approval vote of the HBC congregation Sunday, July 10. We are very excited about our new pastor's coming and we invite all in the Harrisburg community and surrounding area that are looking for a church home to come and meet Michael and Jessica and a very loving and welcoming group of Christians at HBC.